Michael M Horowitz died quietly at home, surrounded by his family on November 20, 2018. He was predeceased by his parents, Abraham and Rachel Horowitz, and by his sisters, Dr. Helen Pattin and Dr. Joan Welkowitz. He is survived by his beloved wife of 63 years, Sylvia; three children – Andrew (Carol), Stephanie, and Daniel (Laura); and three grandchildren – Dr. Viva, Elias, and Talia. He loved children and was a kind and caring husband, father, and grandfather. He was an accomplished folk musician. Born in New York in 1933, Michael graduated from the Bronx High School of Science in 1951, and from Oberlin College in 1955. He earned a PhD in Anthropology from Columbia University in 1959. In 1961 he came to what is now Binghamton University and founded the Department of Anthropology the following year. He was awarded a Distinguished Professorship in 2002. 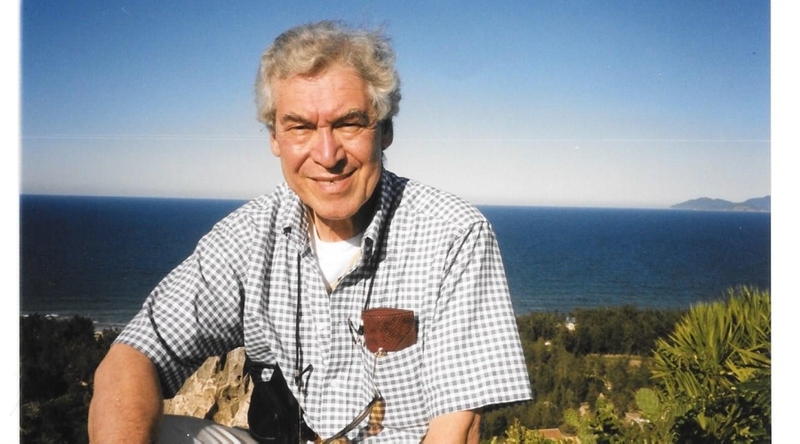 A brilliant and passionate anthropologist who loved both fieldwork and teaching, Michael devoted his life to social justice. In 1976 with Ted Scudder and David Brokensha he founded the Institute for Development Anthropology, a research institute situated in downtown Binghamton at 99 Collier Street until 2002. He received the Kimball Award in 2000 and the Malinowski Award in 2006. Michael authored or co-authored 18 books and monographs, and he published 62 articles and book reviews. He wrote and produced a half-hour film: Large Dams and Small People: Management of an African River. The family would like to thank his many caregivers including Roadena, Luanne, Aili, Ophelia, Yong and Kate, in addition to Lourdes Hospice. The funeral will be November 21, as follows. Memorial service, 11 – 11:45 am, at Temple Israel, 4737 Deerfield Pl, Vestal, NY. Burial will follow, 12 – 1 pm, Temple Israel Riverside Cemetery, 719 Conklin Rd, Binghamton, NY 13903. Meal of consolation and shiva minyan, 1:30 – 3 pm, 22 Crestmont Road, Binghamton, NY. In lieu of flowers, donations may be made to Temple Israel, 4737 Deerfield Pl, Vestal, NY. All arrangements entrusted to Ernest H. Parsons Funeral Home 71 Main Street Binghamton, NY. Please visit ParsonsFuneral.com to offer your condolences.